Antibiotics often don't help inflamed sinuses. Take steps to ease symptoms and let the problem heal itself. As with the lungs, the hollow spaces in your facial bones—the sinuses—are prone to infection by microorganisms of various stripes. Usually, the invader is a virus. In response, the sensitive linings of the sinuses swell up and start to pour out mucus, triggering nasal stuffiness, a runny nose, and facial pain. Once upon a time, many sinus sufferers headed straight to their doctors to get an antibiotic. But we now know that strategy is usually a waste of time. Most cases of sinusitis are associated with viral infections, which are bulletproof to antibiotics. According to a research review by the Cochrane Collaboration, 80% of people with sinusitis improve within two weeks without taking antibiotics. The best course of action for occasional sinusitis is to use self-care steps to ease symptoms while the body clears the infection. "Everybody sort of thinks of antibiotics as the magic cure-all, but the vast majority of people will get better without ever having to consider an antibiotic," says Dr. Jeffrey Linder, a primary care physician and associate professor of medicine at Harvard-affiliated Brigham and Women's Hospital. The initial symptoms of sinusitis are similar to those of a cold. You might also experience fatigue, cough, impaired sense of smell, fullness or pressure in the ears, or headache. While your body fights the infection, use nasal rinses, decongestants, and pain relievers to ease your symptoms. (See "Soothing sinusitis: Here's what to do.") Whatever over-the-counter products you use, read the packaging and follow the directions. The symptoms are prolonged. "If you have been doing all the right things for 10 days and it's not getting better, then it's totally reasonable to call your doctor and ask about an antibiotic," Linder says. The symptoms are severe. Typical alarm signs of a bacterial sinus infection are sharp pain in the cheeks or teeth accompanied by a fever. The symptoms are getting worse. If you have coldlike symptoms that go away, but then start to have severe pain and fever, antibiotics may be worth considering. In clinical trials that compared antibiotics to a placebo pill for confirmed bacterial sinusitis, the antibiotic had minimal effect. That suggests that even when you do have bacterial sinusitis, antibiotics usually don't help. Yet you still have to take on the potential side effects, such as stomach upset and diarrhea. In addition, inappropriate use of antibiotics can breed antibiotic-resistant strains of bacteria that are hazardous to all of us. "If you are not getting progressively sicker, give the decongestants, the saline, and the pain relievers a few days to work," Dr. Linder says. Spray in some saline. Saline (saltwater) rinses are very soothing. The most convenient option is a prepackaged nasal spray; frequent, gentle snorts of saline can help to loosen the mucus. 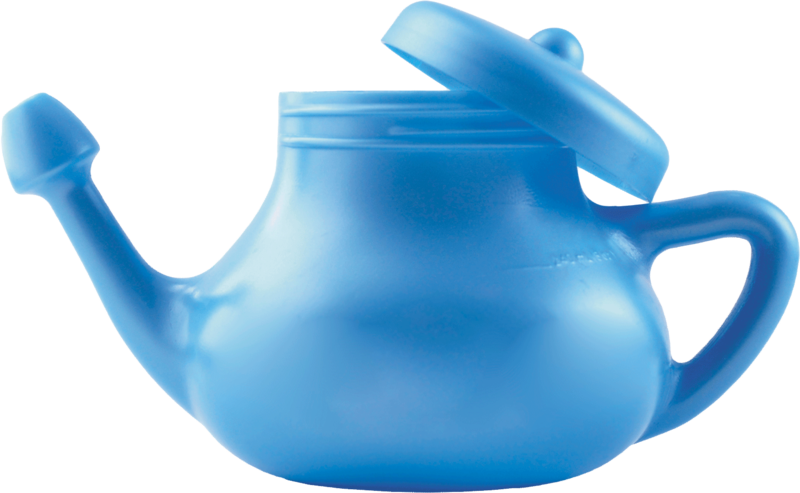 A neti pot also works very well. This is a small container with a spout, resembling a teapot, that you fill with a warm mix of sterile salt water. (Use distilled water, or boil tap water and let it cool before use.) Pour the fluid in one nostril, and allow the discharge to drain from the other. Use decongestants. Over-the-counter decongestant pills or nasal sprays can be used on a limited basis to reduce stuffiness. Nasal spray decongestants containing the active ingredient oxymetazoline are familiar to most people as the brand Afrin, but you can also use generic formulations. Limit yourself to no more than two doses per nostril per day for no longer than five days. If you use a nasal decongestant for too long, your nose may start running when you stop. Oral decongestants. Dr. Linder recommends a 12-hour (sustained-release) formulation of pseudoephedrine (Sudafed). A common side effect is moderate jitteriness, and you shouldn't take this drug if you have uncontrolled high blood pressure or a heart condition. Take pain relievers as needed. 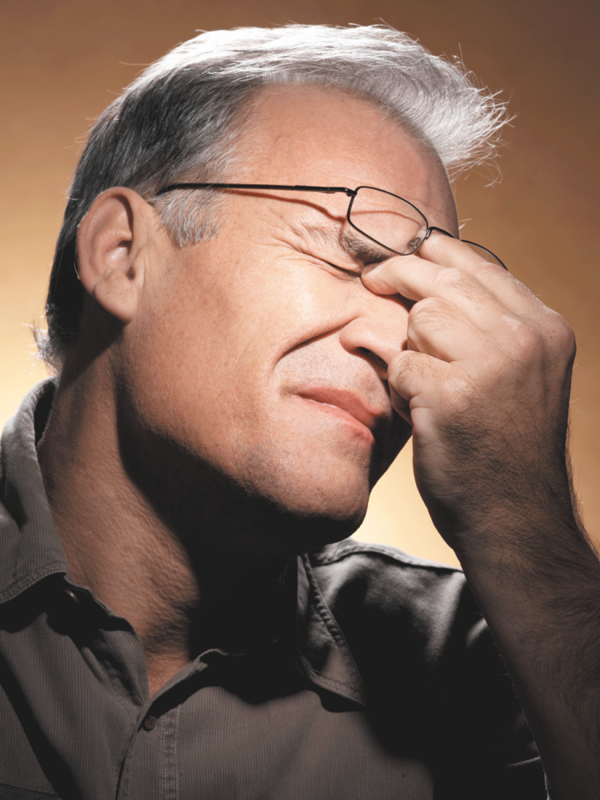 Take a pain reliever to ease headache or face pain. Any kind is fine, but for inflammation you may get more benefit from a nonsteroidal anti-inflammatory drug like ibuprofen (Advil, Motrin), naproxen (Aleve), or aspirin, assuming you don't experience stomach upset from these drugs. Ask the doctor: Is it worrisome to hear a pulse in my ear? Are you missing early warning signs of hearing loss? What causes a cough after a cold?